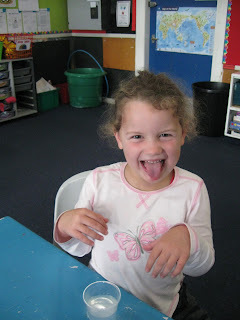 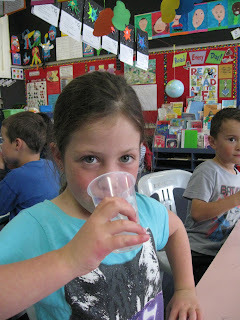 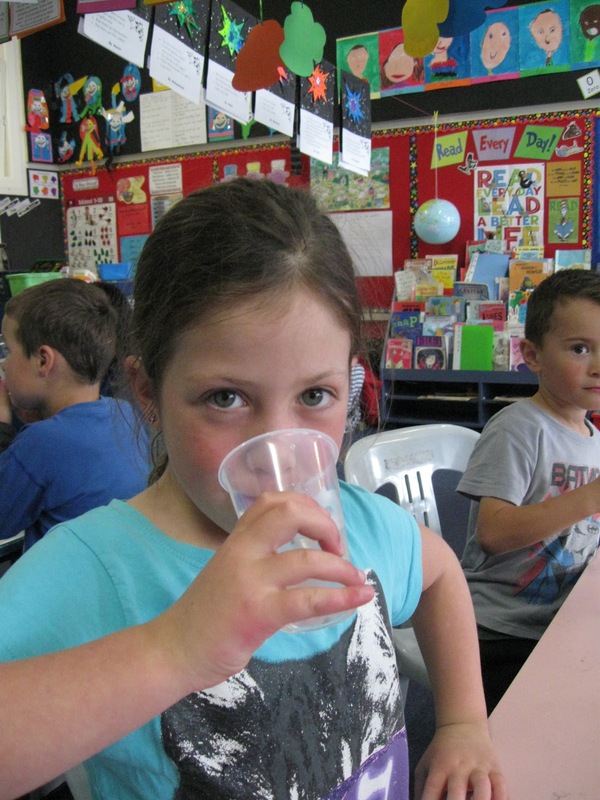 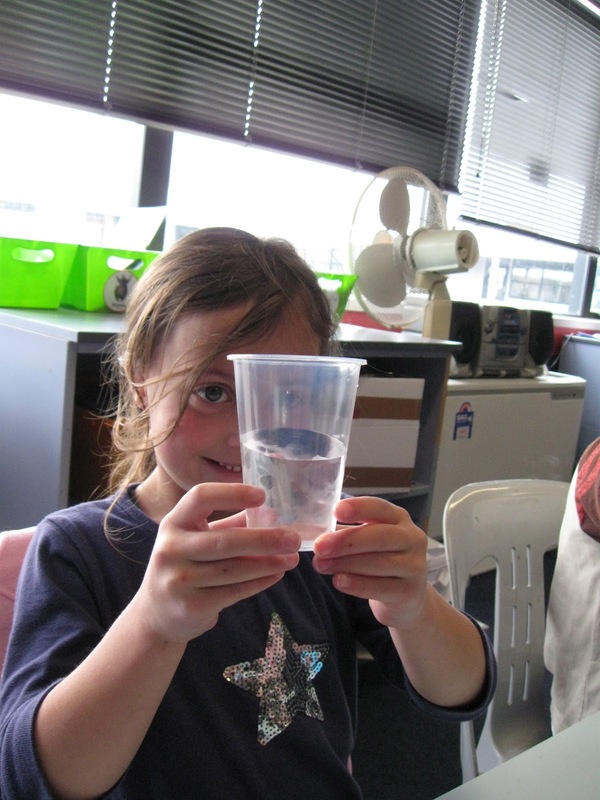 We have been learning about water for our inquiry topic "Take Action for Water". 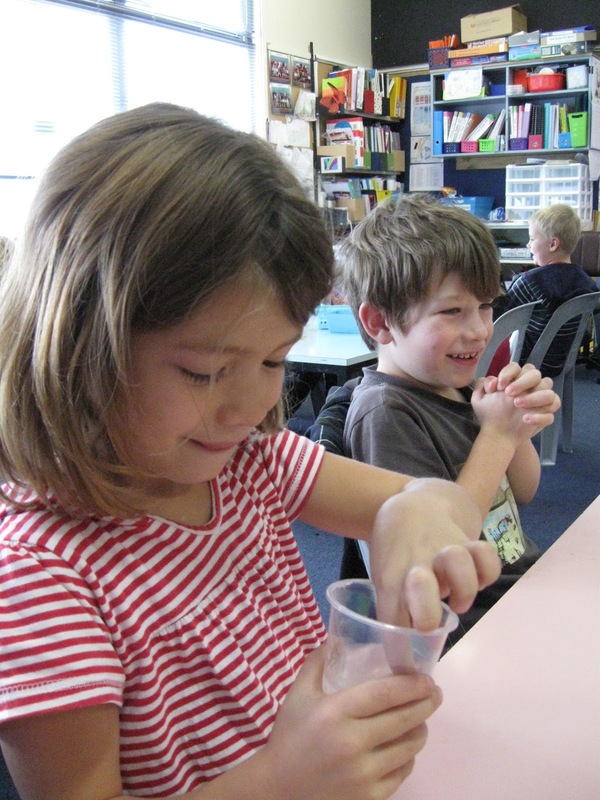 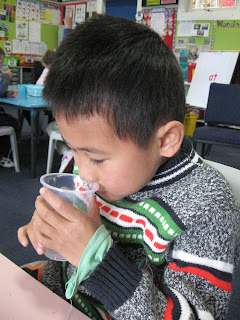 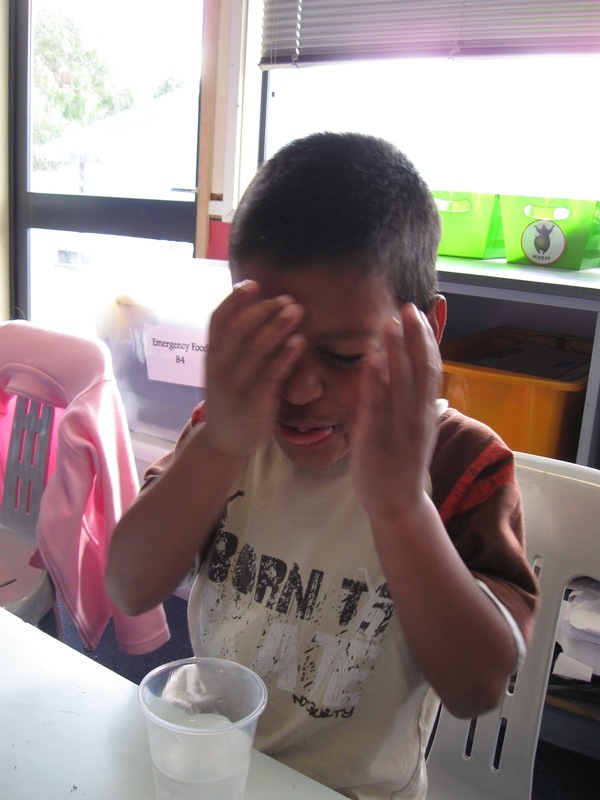 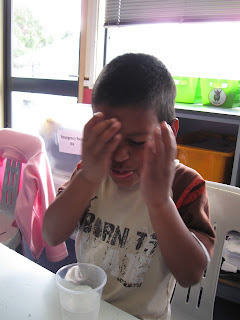 Yesterday we used our senses to describe fresh water and salty water. We made a venn diagram to show what was different and the same about fresh and salty water. We discovered that both fresh and salty water felt the same, but they looked, tasted and smelt different. 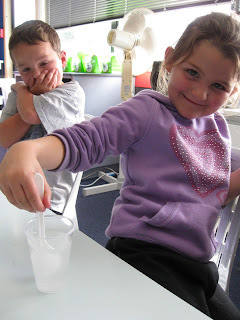 Here is our venn diagram and some photos of us looking, touching, tasting and smelling the water. 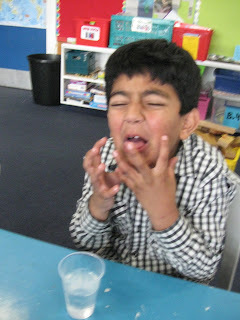 Some of us did not like tasting the salty water at all!